A Leaning Bookshelf can bring a unique decorating element to any room. 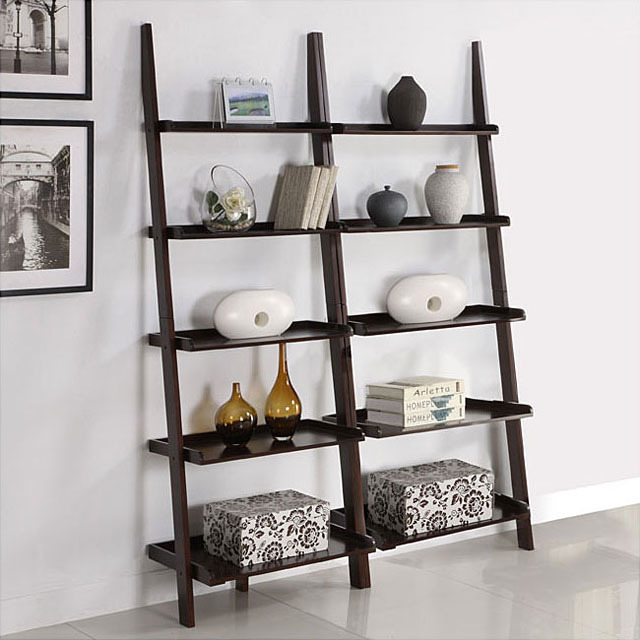 Ladder-style bookshelf leans against any wall and provides plenty of space for photo frames, decorative items, collectibles and books. A leaning bookshelf that also comes with a computer desk is ideal for you home office. It’s an elegant way to decorate a room, and it’s very functional at the same time.